BC Beroe is still unbeaten in the Balkan League. 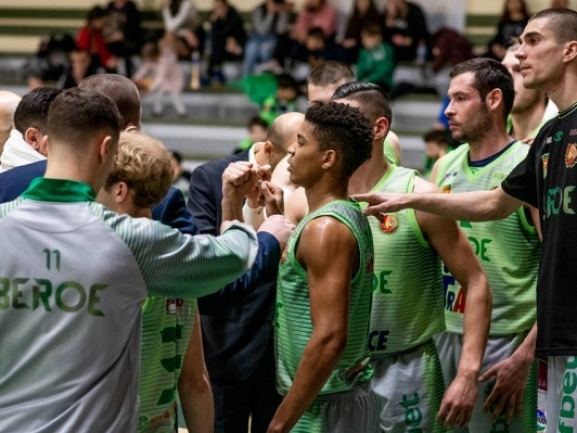 The Greens hosted BC Academic Bultex 99 in the Bulgarian derby and took 92-74 victory after dominating performance in the second half. The first was very close and the visitors even led but after the break the home side improved their performance and it couldn′t be matched. Beroe now has 9-0 record and the team′s next game will be on March 5th against Teuta away. As for Academic, which has 7-4 record, there is one game left and it′s against Kozuv on March 20th. It was a really close first half with the teams exchanging leads as the visitors led for most of the time. The turning point came in the third quarter as with a 10-2 run they moved up by 10 points. They kept the difference in the next minutes and in the fourth quarter increased it even further to cruise on for the victory. The home side relied on their three-point shooting as they made 14 of 37 attempts. The visitors in the meantime made just 5 of 25 and it proved too much to overcome. Conner Frankamp was the top scorer for the winners with 22 points. Tre Coggins did well by scoring 21 as Aleksandar Yanev added 19 and 5 assists. The visitors were led by Nikola Vujovic with 16 points and 7 rebounds. Vasil Bachev had 14 points as Adriyan Sekulov added 11 and 9 rebounds.